(PRLEAP.COM) NOVEMBER 30, 2016 - NEW YORK- Sixteen19, a growing powerhouse on the post-production scene, marked one year at its new headquarters in Chelsea with the launch of its second 4K DI finishing theater. 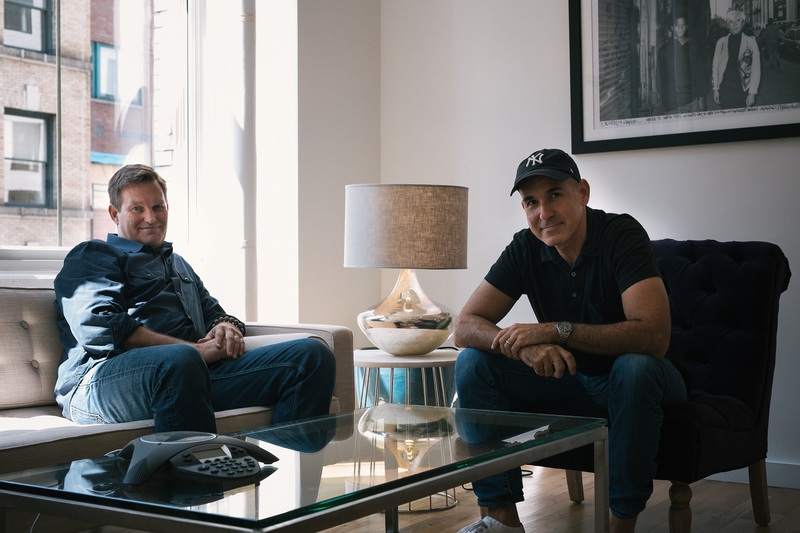 The theater will enable the company's premier group of artists and technicians – led by co-founders Pete Conlin and Jonathan Hoffman, and Senior colorist Andrew Francis – to build on a breakthrough year marked by physical expansion, high-profile projects and in-roads into new markets. The new 4K theater serves as a centerpiece of Sixteen19's new flagship facility, opened in late 2015. The 20,000 square foot space features high-end technology consistent with the unmatched boutique service Sixteen19 has delivered for productions since the company's founding in 2010. In addition to the two DI theaters, the Chelsea location also boasts 40 edit suites, three color suites, and two visual effects suites. High-speed bandwidth capacity reflects the increasingly global nature of post-production, allowing seamless connectivity with Sixteen19's Los Angeles, Atlanta, and London outposts, as well as shooting locations around the world. Finally, clients' work is covered by advanced security systems in line with major studio compliance standards. In addition to these technical specs, the location offers the kind of ambience not found at standard post houses. With a lofty open layout, two sun-filled lounges, a huge kitchen, and a large windowed conference room, Sixteen19 is a space that fosters collaboration and creativity. This reflects an important tenet of the company's driving philosophy: that post is about more than adding the final touches to a finished product – it's an integral part of the creative process. "We built a facility that is the most elegant in NYC-by far-and specifically designed it to provide a creative environment for our clientele to thrive," says Hoffman. "In addition to our technical expertise, our clients have come to expect a certain culture that is uniquely Sixteen19, which is very different from other post houses. With the new space, we needed the environment to be an extension of that culture. With an abundance of natural light and an open layout, there is a lot about this space physically, creatively, and technically that makes it unique." In the past twelve months, more and more filmmakers have begun to take notice. Recently, director Peter Berg and his team chose Sixteen19 for their post work on the Summit Entertainment blockbuster Deepwater Horizon. For The Promise, directed by Terry George (Hotel Rwanda) and starring Christian Bale, Sixteen19 delivered a complete post package comprising mobile dailies across Spain, Portugal and Malta, Avid suites, VFX, final color grading, and editorial finishing in the Chelsea facility. "I was looking for the perfect New York location to set up my projects. Sixteen19's new facility absolutely fit the bill," said Berg. "I'm cutting two projects at Sixteen19's new facility and I couldn't be happier here. Jonathan and Pete have put together a very comfortable, state-of-the-art environment for creatives." "Sixteen19 was the top choice," said George. "This is a place which truly fosters a community of creatives. The technical support team made life seamless for our editors. Their knowledge and cooperation to customize workflow was greatly valued by our team. The edit suites are large and comfortable, and the in-house screening room was the perfect place to review VFX, and work with our colorist. It was a pleasure to work at Sixteen19. They have the most helpful, and cheerful staff and are very conveniently located in the heart of Chelsea." Conlin points to Sixteen19's development of a custom workflow for the upcoming Universal Pictures comedy Girl Trip as an example of the transformative impact the company's boutique approach can have on a project. "We began working with the DP, Greg Gardiner, three weeks prior to the shoot in order to help him cope with some challenging locations," Conlin explains. "Led by supervising colorist Andrew Francis, color scientist Bill Feightner, and dailies supervisor Olivier Girard, our team developed a proprietary LUT package that Gardiner utilized throughout the 40-day shoot. The looks were applied to the dailies and downstream files throughout the entire post process, including VFX and all Previews." While Sixteen19 operates on the cutting edge of post technology, this collaborative approach to service makes it something of a throwback. "We're not a factory like other facilities," Hoffman says. "When filmmakers come here, they know we participate as an extension of their production both technically and creatively. That's how business used to be done in New York. The fact that we still do that today really sets us apart." As momentous of a year as it's been, 2016 isn't a victory lap for the company – it's the first step in a larger process. Conlin and Hoffman plan to add more editing and finishing suites, as well as ADR recording and sound finishing. The new resources will allow Sixteen19 to keep pace with its heavy slate of motion picture and television projects, and growing demand for advertising and commercial finishing. "Looking ahead, we're going to build on our increased capacity and growing reputation for excellence," Conlin says. "If you look at the kind of work we've been doing on major projects in the past year alone, we see all kinds of potential going forward. It's an exciting time for us." Sixteen19 is a boutique production and post services company specializing in feature film, episodic storytelling and commercials. Based in New York, the company also maintains offices in Los Angeles, London and Atlanta. Founded in 2010, the company took its name from its original location at 1619 Broadway in the historic Brill Building. Recent projects include Deepwater Horizon, Jason Bourne, Pete's Dragon, Bleed For This, Vinyl, and The Revenant.